We all love a deal, but there’s few things worse than a ‘special deal’ that isn’t a deal at all. 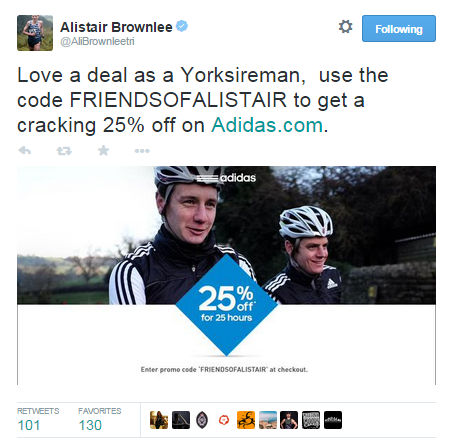 When I saw this Tweet from Olympic-winning triathlete Alistair Brownlee, I was excited – ‘Hey, I’m a friend of Alistair Brownlee and that’s earned me 25% off Adidas gear’. It’s great marketing by delivering a real reason for following someone on social media. 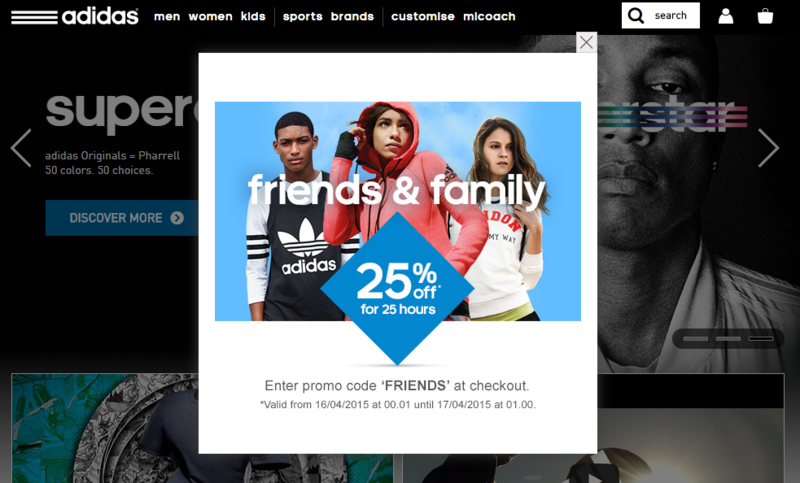 The only problem was that when I landed on the Adidas site, my bubble was immediately burst. It turned out that I wasn’t special at all – you could be anyone’s friend to get the same discount. I still follow Alistair, but it’s different now. I don’t think we’ll ever be the same after this. And while this is tongue-in-cheek, there is a serious point for brands – never try to fool your fans and followers.